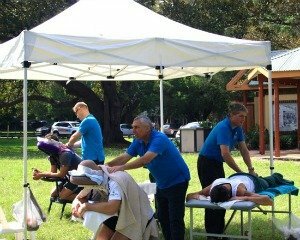 I had the pleasure of working with Beata on a monthly basis for a good year when I was in charge of organising the monthly massage benefit for our staff here at TRC. What I remember most about the excellent service we received from Beata and the rest of the team at Absolutely Corporate was that firstly, Beata would call me weeks in advance every time to organise the massage for the coming month — she knew the exact timing we needed to schedule the massages and she was so reliable in that sense that I didn’t even have to remember because she’ll just ring up and she’d remind me! The Absolutely Corporate masseuses would always come on time on the day the massages were scheduled, they were friendly, gave amazing massages and our staff here at TRC were always very happy with their service.